Home A weekend of rain, rain and more rain. A weekend of rain, rain and more rain. It was wet, very wet, and it was only getting wetter. The rain was pouring down and it was forecast to do so all weekend. 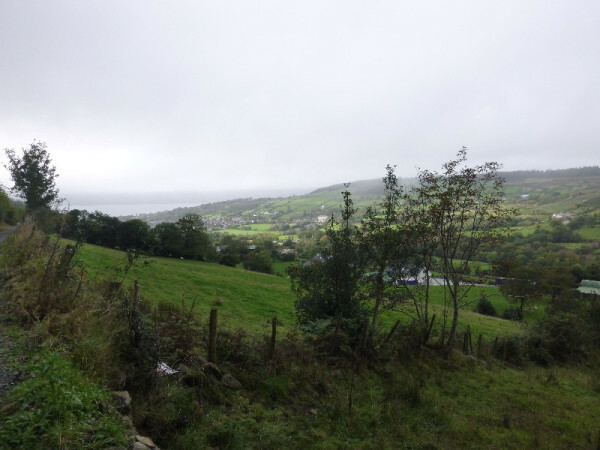 We had made the long journey to Rostrevor on Friday afternoon and arrived in darkness. 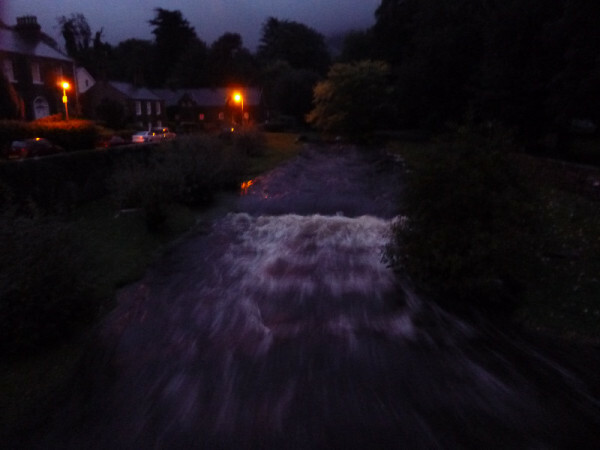 The rain was showing its effects in the local rivers as we soon noticed when crossing the bridge on the way to Kilbroney park. We were coated in waterpoofs in some hope that we may somehow manage to stay dry in the heavy rain. Our plan was to camp on the Friday night, and set off on Saturday morning for a good hike. After fighting our way uphill in the wind and rain we set up our tent in the pitch darkness and pouring rain, and happily jumped inside in an attempt to get drier and warmer. 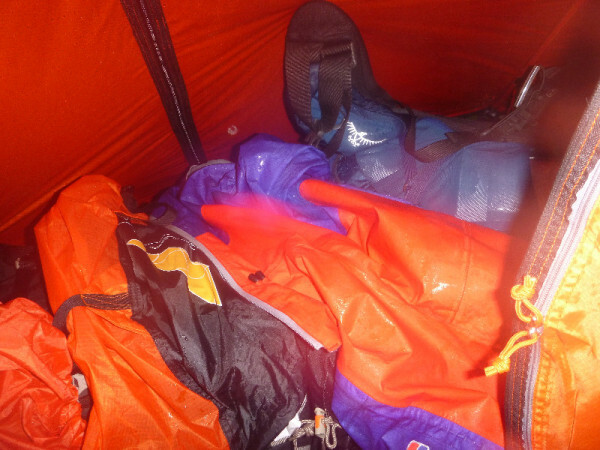 The waterproofs had received a soaking and our only method of trying to dry them was to leave them in the porch of the tent overnight,which didn’t work, sadly. The morning came and the rain and weather warnings subsided. We enjoyed some porridge for breakfast along with some handfuls of trail mix. Sadly we had forgot to bring our water treatment tablets, so we were reduced to a painstakingly slow method of boiling water and then letting it cool, so we could pour it into our bladder packs, for drinking throughout the day. To our surprise the water stayed hotter much longer than expected, so before we had even started walking, we had taken up a lot of time ensuring our water was clean. After putting on wet clothes and wet boots, we started our walk through Kilbroney park. 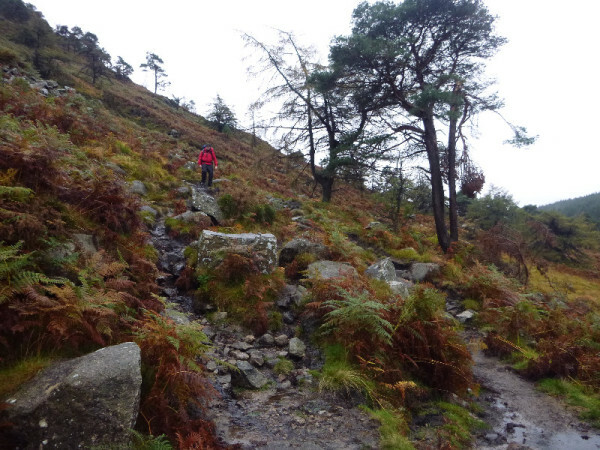 We encountered lots of mountain bikers, who were also out enjoying the outdoors regardless of the forcasted weather. The forest tracks were beautiful and the air was clear, which made for a beautiful start to the morning. The rain started pouring down, so we stuck our heads down and walked through it. 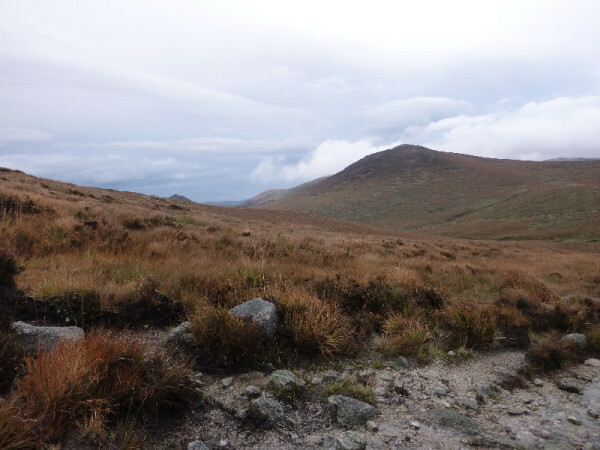 We soon made it to the end of Kilbroney park and switched from a well maintained forest track to a single path that resembled more a small stream. 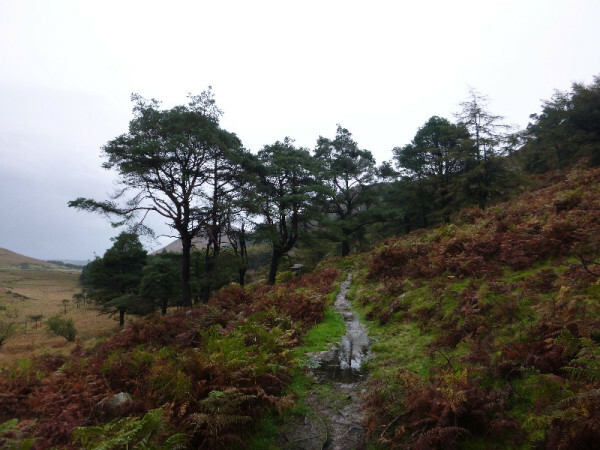 Many of the paths had now turned to streams and the grass sides had turned to bog. 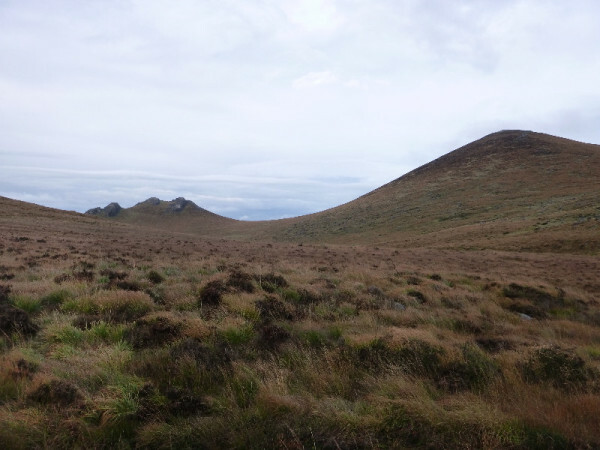 We were now in the area known as the Western Mournes, where the hills are smaller in size and in smaller in popularity compared to the bigger Eastern Mournes. We met two people who advised us of the poor conditions of the rivers that lay ahead. We took this advice on and continued our walk. The weather soon changed to nothing like what was forcasted, and at some points we were even treated to clear skies. It just showed us that you just have to get out there and enjoy the outdoors, regardless of the weather. The rivers were high, so we made a decision to try to cross further down the hill, where we hoped it might get shallower, and therefore easy to cross. We would only find out later on that this was not the case. A lesson learned the hard way indeed. 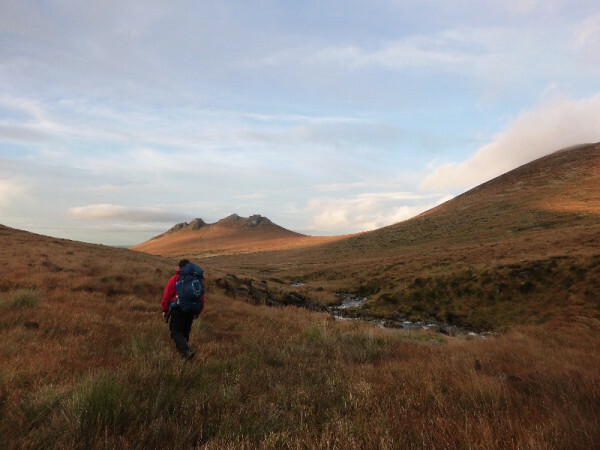 As we neared Hen Mountain the sun was getting lower in the sky and because of our late start in the day we hadn’t made it quite as far as we had hoped. The prospect of crossing the Rocky River (that we were on the wrong side of) in the dark was not a pleasant thought, never mind the next few hours that could follow, whilst walking with wet trousers and boots to get to Fofanny Reservoir, where we originally planned to meet up with the rest of the team. 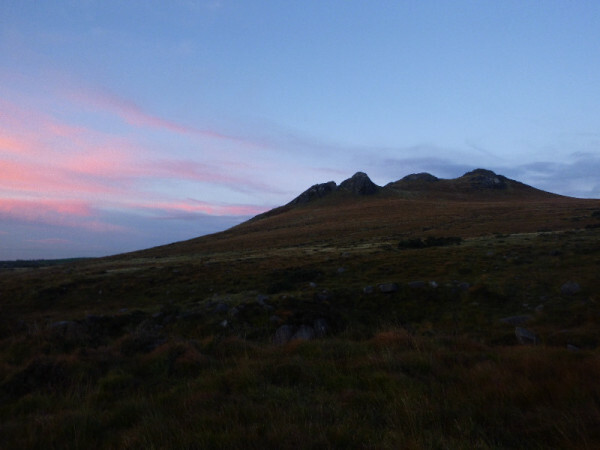 We decided that after a days walking it would be wisest to set up camp while it was still relatively light and dry. So with the tent pitched and our sleeping bags rolled out, we got the stove on and started cooking dinner. We enjoyed an Off the beaten track pre-made meal, which was an All Day Breakfast, for dinner. 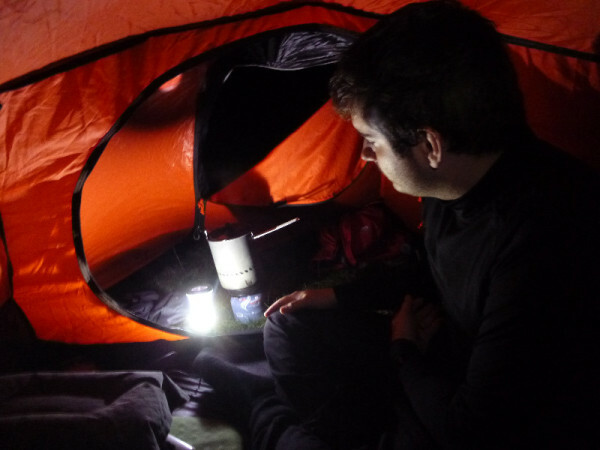 As soon as we had finished dinner, the rain started, and we sat and listened to droplets hit of the tent roof. The morning soon came and sadly the rain was still there with it. We were still on the wrong side of the river, and it was still as high as the previous day. We walked up and down the river bank trying to find a shallow point where we could cross. We found no point in which we could cross without getting our feet and knees wet, so we decided to bite the bullet and cross the river and get wet. The force of the river was surprisingly strong, but we managed to cross without falling in. 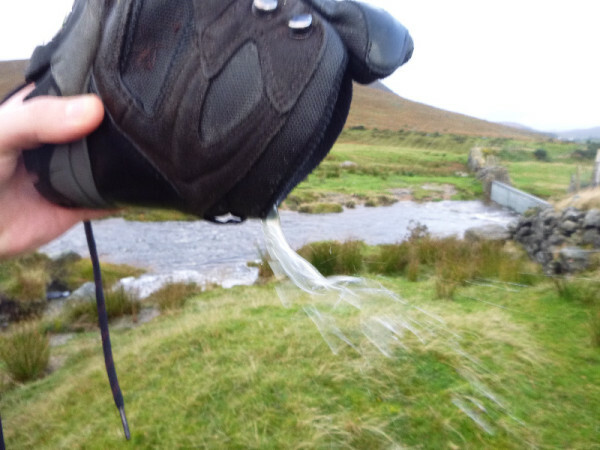 When we got to the other side we made sure to wring our socks and empty our boots of water. This helped in a small sense and we managed to get some feeling of warmth back into our feet. Our feet were wet, or clothes were wet, our tent was wet, everything was wet. We were happy to have got out and battle the bad weather and make use of the time we had, but we both agreed that getting home and getting dry was what we wanted to do more than anything. So with that in mind we made our way to Hen Mountain car park and organised our way home. The lesson of the weekend was to bring a set of dry clothes, and enjoy your time outdoors regardless of the forecast.